Beautiful Handmade Easter Cards, Embroidered and hand glittered available with personalised wording. 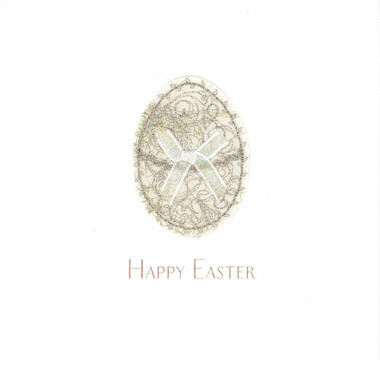 Beautiful personalised handmade Easter cards for really special people. Featuring beautiful embroidery, these cards are crafted using a variety of textile media. Carefully chosen fabrics are incorporated with organza’s to produce a range of exquisite, individual embroidered greeting cards. All mounted onto lovely thick 350gsm soft white silk weave board, with a lovely thick envelope.